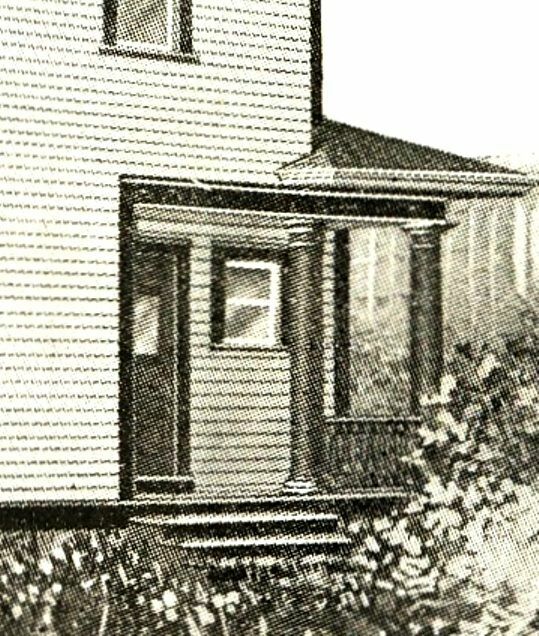 Sears started offering kit houses in 1908, but when was the first Sears Home sold? 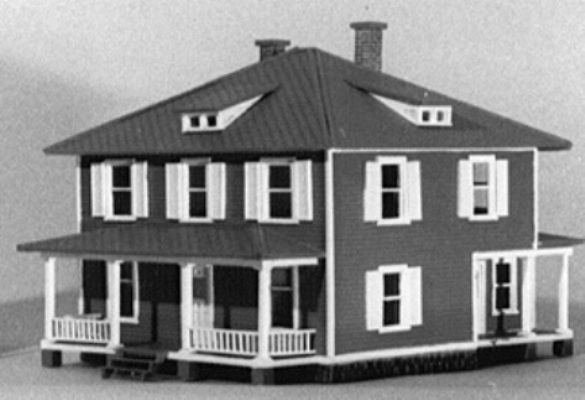 Well, for years, we believed that the first order for a Sears House wasn’t actually received until 1909 (based on info gleaned from the Sears archives in Hoffman Estates, IL). But now, it seems that that information may not be correct. 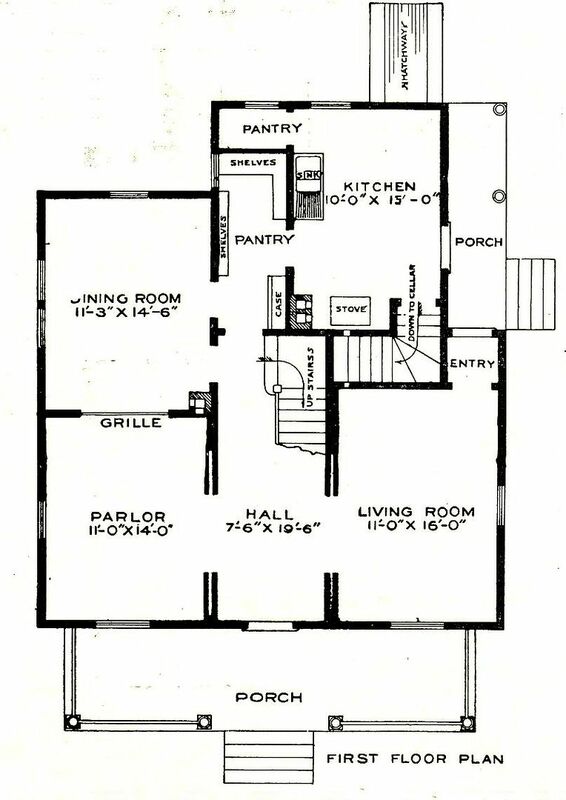 When Dr. F. M. Malone purchased his Sears Modern Home #102 in late 1908 or very early 1909, it was probably one of the first Sears Homes built in the country and yet (to complicate our life even further) he customized this design a bit! 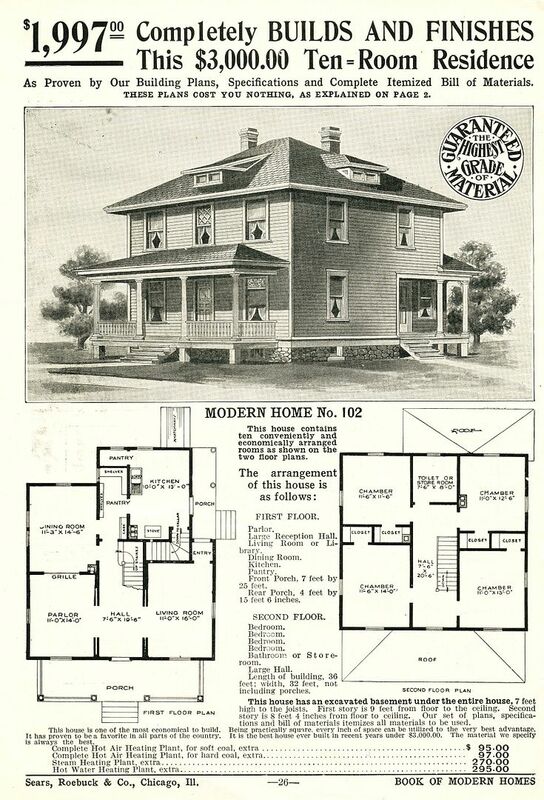 The Sears Hamilton (Modern Home #102) was a traditional-looking foursquare and with the passage of 100 years or so, this simple (and yet spacious) house would be mighty hard to differentiate from other foursquares. So, where is Dr. Malone’s home? Somewhere in Capleville, Tennessee. That is a pretty cool designation. UPDATE: I was contacted by Dr. Malone’s granddaughter (see first comment below), and she reports that this house was razed many years ago. While I’m grateful for the update, I’m saddened to know that the house is now gone. The Sears Hamilton was offered in the first "Modern Homes" catalogs (1908) and Dr. Malone must have snatched it up immediately. He ordered it (about an eight-week lead time) and had it finished and photographed in time for it to appear in the 1909 catalog. One of the distinctive features of the Hamilton is this indented porch on the rear of the house. That's the biggest kitchen I've ever seen in these original Sears Homes. A diminutive version of the Hamilton (also known as #102) was offered by Bachmann Toys for model railroading (in the 1980s). Nice example o f Sears Modern Home #102! 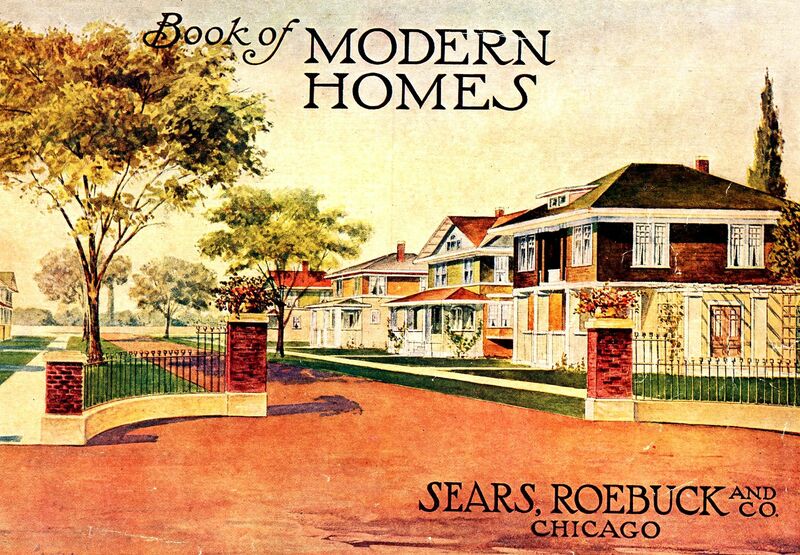 The 1909 Sears Modern Homes catalog is probably the rarest of these catalogs. It's in this catalog that I found Dr. Malone's testimonial on the Sears Hamilton. These catalogs had about a six-week lead time, and most of the testimonials in this catalog speak to the quality of Sears building materials (because there were so few house sales in those early days). Dr. Malone's testimonial was one of four testimonials that actually described the building of a "Sears Modern Home." In that his house was finished by 1909, in time to appear in this catalog, it must have been ordered in late 1908 or very early 1909. 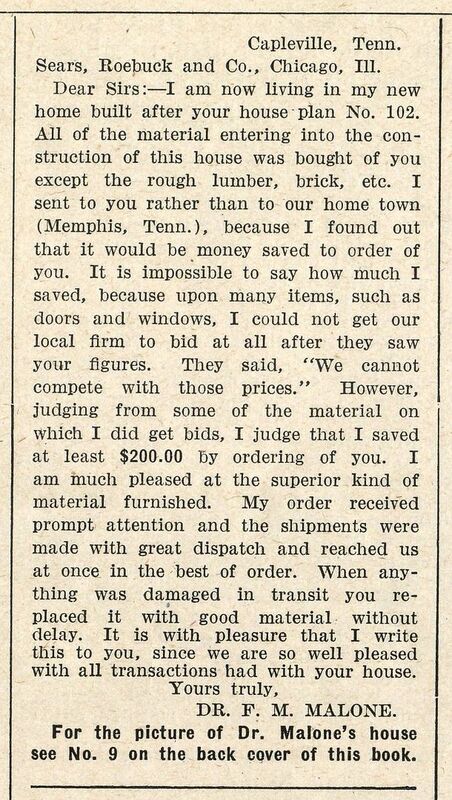 It's the most thorough and loquacious testimonial I've seen in these old catalogs. And here is "Picture #9" also known as Dr. Malone's Sears Hamilton. Likely, this is one of the first Sears Homes built. In fact, I'd be so bold as to guess it was probably one of the first 20 Sears Homes built in the country. What the heck is that on the second floor? Is it a sliding glass door? Sure looks like it. But this came from a 1909 catalog, well before the advent of such inventions. And look at the front porch roof. Dr. Malone had a good time making it difficult to identify this house as a Sears Hamilton (from the street, anyway). Is Dr. Malone’s house still standing? Do the current owners realize they’re living in a piece of America’s architectural history? Do they know that they own one of the first Sears Homes built? To learn more about the Sears Hamilton, click here. I was born in this house, delivered by my grandfather, Dr. F.M. Malone, in 1940. He was 82 years old at that time. After my grandfather’s death in 1943, my family lived in this house for almost 20 years. Unfortunately the house is not still standing. I did not realize that it was one of the first Sears homes ever built. I never remember the second floor having the rails around the roof. We used to climb out on that roof. I was excited to find this information this morning while I was actually googling my great, great grandfather, Franklin Jefferson Malone. Well, I’m sorry to hear that one of the first Sears Homes ever built is now gone, but I’m grateful you shared your memories here. BTW, I *love* your last name! My Thorntons are from Portsmouth, Virginia (going back to the early 1900s). I’m not sure where they came from before then! I also thought it was interesting that your name is Thornton. I live in Portland, Maine and my in-laws parents all came from Ireland, Galway area, so they are first generation. They had an ancestor who signed the Declaration of Independence and when I looked him up, I was so surprised that his wife’s maiden name was Malone! I am so sorry that the Sears house was torn down. My aunt Alba knew more of family history than anyone I knew but I never heard that the house was one of the first built. The land, which my immediate family did not own, was sold many years ago. I will ask my siblings if they ever heard this. Thanks for the information. Did I read that you wrote a book on Sears houses? Yes, I wrote a few books on kit homes. The best seller is “The Houses That Sears Built,” and it was the book that got all this started! Slowly (as in inch by inch), I’ve been reading through the old Sears Modern Homes catalogs, and it was December 2012 when I first discovered Dr. Malone’s kit home, and as I was reading his testimonial (in a 1909 catalog), I realized his house had to be one of the very first Sears kit homes ever built. It’s sad that it’s gone, but at least we have a photo of it, and a letter from Dr. Malone. BTW, I’ve always wanted to venture up to Maine and see if there are any kit homes there! 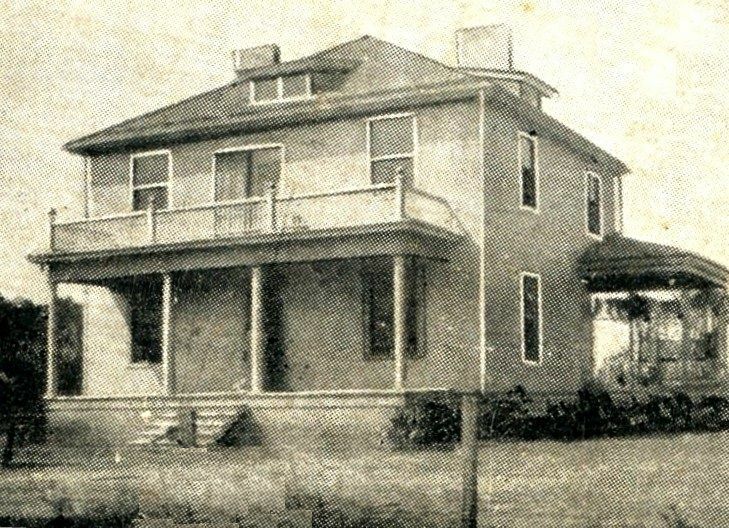 This is the model that, unfortunately, people are claiming is a Sears home built and owned by the Boulanger family in Pawhuska, Okla around 1916/17. The house was used in Julia Roberts new movie, August: Osage County. The Boulanger house has a completely different floorplan……..for start. I was looking up Sears houses and found it interesting about Dr. Franklin Jefferson Malones house. I had just been looking up info on my husband’s Great grandfather, William Harrison Malone that ordered a Sears house for his family sometime before 1925 and this was in Henderson, TN in Chester Co. It was 2 story and it is still standing, although it has been vacant for years and vandals and just neglect has taken a toll on it. I am trying to find out more about it as to model, year, etc. I am going to get permission to go inside–as the house is no longer in the Malone family–and see if I can find some markings or definite notations. One of William Harrison Malone’s sons was named F.M. Malone, and while we know the middle initial is for Muse, we have never known what the F stands for. These Malones were from Virginia and N.C and on down to McNairy Co and Chester Co., TN. I just wanted to discreetly comment that the house has not been torn down. In fact, there was an estate sale this summer and it may have even been for sale. @Margaret I. Malone Thornton Hi Margaret, I am commenting very late, only because I have just found out some information. Your grandfather, Dr. Malone, also delivered my father in Capleville, TN in 1935. My father has never seen his birth certificate, and I only just retrieved a copy. Our family is African-American. Unfortunately, that link doesn’t work. A precursory look on Google Earth shows Capleville to be industrial, surrounded by newer homes. I spent the night with you in that house many years ago. Do you remember the bull chasing us up a tree? I remember your Mother’s delicious home made yeast rolls. My father William Malone Ford (Bill) and your Father were cousins and fishing buddies. Mim, you either cut the cake or served punch at my wedding in Oakville, TN, 2/17/1961. I used to spend the night with you and we played in the pasture - a bull chased us up a tree. Reading about ancestry I thought about you. Would love to hear from you. I have not been on this site for some time so I just saw your comments. As far as I know my grandfather only worked out of his living room, which was always called “the office”, in his Sears home in Capleville. He was a “country” doctor and in the stories that have passed down, early on my grandmother would take him by horse and buggy to make house calls in the area. He died when I was 3 years old so I have no memory of him but stories have been passed down and also I used to read his diaries which were in a small back room along with his medical books. What was your father’s name and where did he live? I just wanted to clear the record. My grandfather who built the Sears house was Dr. Ferdinand M. Malone. Dr. Franklin Jefferson Malone was my great grandfather.